We get this question all the time. Wes, What Is Chapter 7 Bankruptcy? How does it work? Do I lose assets? Can I get rid of all debt? What about taxes? What about student loans? These are all great questions. The saying is knowledge is power. That is what we believe at Kain & Scott as well. The more you know, the more empowered you feel about your own circumstances. When we explain to people that what they think happens is not really what happens you can see our guests lay further back in the chairs and relax. I wish everyone had access to this kind of information. If they did, we would have far fewer people who lose sleep each night and suffer from overwhelming debt needlessly. Let me ask you a question. What would you say to a person who comes to you and says, hey, it’s Tim from Eagan, Minnesota, I lost my job, my wife left me, my dog died, and I have 50k in credit card debt racked up from trying to feed my family and pay legal bills? You say, throw him in jail! Ok, but we have outlawed slavery. You can’t put somebody in jail for the inability to pay their bills ok? If we did, that would be called slavery and that is unconstitutional. What about get a judgment against him, garnish his wages and levy his bank accounts and keep him and his children in perpetual poverty! Sound good? First, Tim doesn’t have any income, so creditors can’t take any wages from him or freeze his bank account. Second, even if Tim had some money, with his family size he is likely to be judgment proof- which simply means the law forbids taking any money or property from him anyway. Third, if we garnished Tim’s wages, would he be able to go out and buy goods and services? Likely not. The last point above is to simply illustrate that keeping people down and out is bad for the economy. We don’t want people bogged down in debt- that is bad for the economy because those people do not buy goods and services (which employ people so they can earn money and buy things too!). You see, the economy is this giant circle. It all starts out with giving someone a job so they can earn money so they can buy goods and services so they can employ someone else who can do the same thing and so on! From an economical standpoint, we don’t want people bogged down in debt. Further, we don’t want creditors, who act the quickest, to get all of debtor’s property to the detriment of all of Tim’s creditors. Finally, bankruptcy is a recognition that life is humbling- that bad things do happen to good people. The most common reasons for bankruptcy are business failure, income drop, divorce and relationship breakup, medical problems and bad financial decisions (we all have made them). Not providing relief for those suffering from overwhelming debt would be just cruel and inhumane. We are supposed to be human not perfect robots who make no mistakes or suffer no ills. Letting creditors swoop in like vultures on a corpse to tear away all of the meat to the detriment of all creditors is chaos. Allowing Tim to languish in poverty, with overwhelming debt, and no ability to feed his family or pay the debt is chaos. Not being able to buy goods and services that employ other people so they can purchase goods and services creates chaos to the economy. Chapter 7 Bankruptcy then is a recognition that chaos is bad and order is good. It’s that simple! You see, after Filing Chapter 7 Bankruptcy, creditors are BARRED from taking any action to collect from debtor including, but not limited to, taking any property from debtor through garnishment, levies, or anything else that would take the debtors property. Instead, in each chapter 7 bankruptcy, a trustee gets appointed to represent, in way, all creditors interests in the chapter 7 bankruptcy case. No longer can one creditor get inside information about debtor’s assets and swoop in and take the asset to the detriment of all other creditors. The chapter 7 trustee is appointed to the Chapter 7 Bankruptcy only after affirming he/she has no conflict of interest in representing debtor’s estate. For example, trustee cannot work for the bank who is a creditor of debtor and also be the trustee. Likewise, when Filing Chapter 7 Bankruptcy the debtor must not sell any assets that belong to him/her until instructed by her/his attorney to do so. 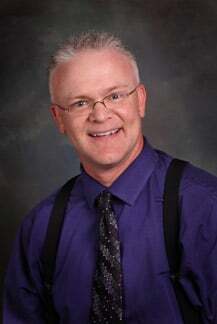 Filing Chapter 7 Bankruptcy is like calling a time out in a hotly contested sporting event. When the time out is called, all competitors must go to their own sideline and stop competing. One of the things bankruptcy lawyers hear all of the time is the desperate phone calls from guests whose wages are being garnished, pr whose accounts were frozen and they have no access to their money. Not having the ability to pay/buy the barest of necessities would cause a tremendous amount of anxiety in any of us! 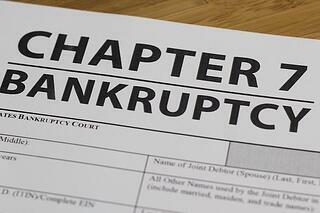 In part 2, we will cover what happens to your assets in a Chapter 7 Bankruptcy. Can you keep your assets or will you lose everything. As with most things in life, the answer is likely not what you think it is! We will cover which assets are protected and what assets you can definitely lose. What does it mean to lose assets in bankruptcy? What happens to them anyway? Part 2 will focus on assets and nothing more. We will dive deeper into the world of a Chapter 7 Bankruptcy as it relates to assets and whether they are “exempt” or “non-exempt”. What does the trustee do with “non-exempt” assets anyway. Who benefits? Who loses?